Always Available When You Need Me. NIGHT AND WEEKEND APPOINTMENTS ARE AVAILABLE UPON REQUEST. Are You Ready to Talk to a Lawyer? REST ASSURED THAT YOUR CASE WILL BE HANDLED THOROUGHLY AND PROFESSIONALLY. Call us to speak with our experienced Attorney and get the advice you need. It is important to know what options are available to you before you move forward. 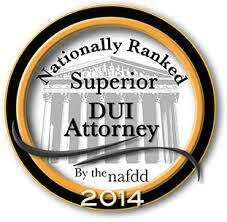 Call today or fill out this easy online form to have an attorney review your DUI case. When you have been charged with an alcohol or traffic related offense, it can be incredibly troublesome. You may be unsure who to turn to and what actions you should take to protect yourself. It is very important to find a criminal defense lawyer who is experienced and will keep your best interest in mind. You can count on our attorney and legal team here at the office of W. James Kotlowski to represent you with respect and professionalism. Call us today at (206) 395-2004 to get started! Our founding attorney, W. James Kotlowski, received his juris doctor from Regent University School of Law, before going on to receive his Master of Law from McGeorge School of Law. When he passed the bar exam, he opened his own practice, allowing him to provide clients like yourself with the quality representation you deserve. He is ranked nationally in the top 100 DUI defense attorneys here in the State of Washington by the National Advocacy for DUI Defense. When you choose to have our firm represent you, you can count on us to do everything it takes to achieve a successful outcome. With 20 years of experience representing clients throughout the Greater Seattle Area and Western Washington, we have the skills and knowledge you need. 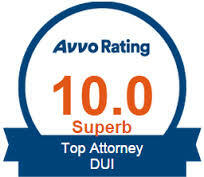 Please call our office today at (206) 395-2004 to schedule a free consultation with our attorney! February 27, 2019 Can I get a Payment Plan for my DUI Attorney Fee? February 26, 2019 How long will I need the ignition interlock device on a DUI conviction? February 25, 2019 Can I go to Canada with a DUI that has not been filed yet?